How Karma Tribe is creating a global community based on kindness. Picture for a moment a perfect world, one where people helped one another out of the kindness of their hearts rather than the promise of money. David Grillot is hoping to make that dream a reality with his recently launched website Karma Tribe. 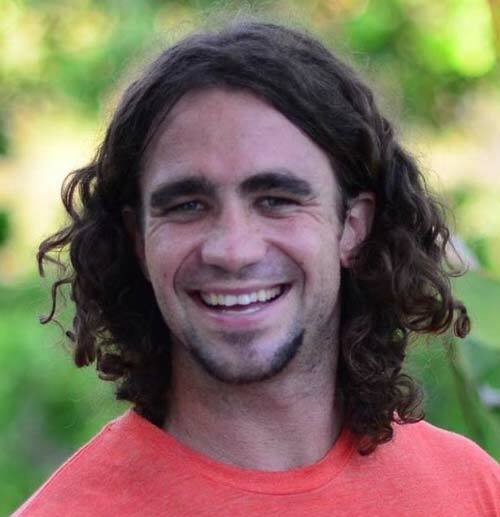 Based out of Playa Hermosa, Costa Rica, Founder David turned a casual chat with friends about how to make the world a better place into a global movement with over 1,000 members in only four short months. With members in 25 countries, Karma Tribe allows users to request and offer goods or services with one important rule: everything is free. Instead of earning money, you earn badges and Good Vibe Points to climb the Karmic Ladder based on how many tasks you complete or help with. With the belief that every person has valuable talents, Karma Tribe seeks to empower the world by making it easier for people to share what they love with less dependency on money. If you’ve ever wished you had a community of kind-hearted people happy to help with your dream of building a dog park, look no further! 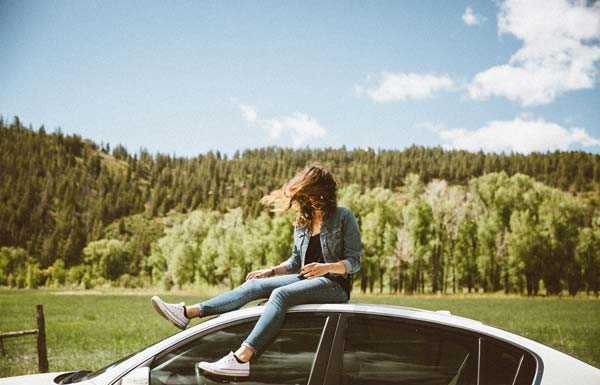 Join Karma Tribe, and start the journey to your dreams with the help of people from around the world through the most natural economy: sharing. CrowdInk: What was your inspiration for starting Karma Tribe? David Grillot: When I was studying physics at Texas A&M, I realized I wanted to do something different with my life, and I really wanted to make a positive social impact on the world. The actual idea emerged about four years ago when I was brainstorming with a friend. We were talking about how in any city or town there are thousands of potential collaborations. People who want to explore their passions or need help with a project and don’t know where to find it. Our idea was to connect supply and demand without money. Instead, make a pay it forward “give from the heart” economy where members have faith that their kindness will come back around. CI: Was philanthropy or nonprofit work something you were interested in before founding Karma Tribe? DG: Actually, yes. As a rugby player at A&M, I would coordinate trips down to the Mexican border with my teammates. We would bring toys and clothes to a girls’ orphanage. It’s obvious, but seeing something so small for you make such a huge impact in someone else’s life was one the reasons I decided to do something different with my life. CI: How were you able to turn your Karma Tribe dream into a reality? DG: Initially, everyone I explained the idea to had an extremely positive response, and that was really encouraging. It was basically effortless to get people involved. Friends and family from around the world wanted to volunteer their time because they felt it was a great project. I used my savings and with some help from family, I contacted a super-talented programmer who offered me an amazing deal to build the site. To gain members, my friends and I attended music festivals around Costa Rica to attract open-minded people from around the world, so our first 300 members were all from different festivals! CI: That’s incredible! Since you are based in Costa Rica, how has the response been from the locals? Does everyone use Karma Tribe or is it more geared towards expats? DG: The response has been overwhelmingly positive from locals. We have collected hundreds of quotes from users in Spanish and English talking about how it’s the way of the future. CI: Why did you choose to settle in Costa Rica of all places? DG: I really just followed my dream of being able to live in a place where I could be with nature and surf. I got a job that allowed me to do that, where I can work remotely as an environmental consultant. I think me moving there is representative of the spirit of the project; to truly spend time on what you love because life is so short. CI: Do you hope to turn Karma Tribe into your full-time job? Or is it more of a side-passion? DG: Yes, I definitely hope to make this my full-time commitment. I think we could turn it into a global project with millions of people helping each other. I’m looking for an investor who believes in the idea and that would allow the team to work full-time. I think there is a huge potential over time to become sustainable. CI: Do you use the site often yourself? DG: I think I use it the most! I know all the amazing things that are on there and I probably have fifteen projects in the works at the moment. I’m teaching English to a woman in Columbia, I’m learning Portuguese from a woman in Brazil, I’m currently teaching people from Finland, Spain, United States and Uruguay a strategy game called GO and I offer surf lessons. Not to mention the help we’ve received from people overseas! We had a man in Brazil translate the entire Karma Tribe site to Portuguese, because he was so passionate about people using it, and a man in Uruguay is helping us with our database. It’s amazing crossing international lines like that. CI: Is there a particular encounter that stood out to you on the site? DG: Yeah absolutely, the first favor that ever happened between people I didn’t know is forever engraved in my heart. This woman who wanted to start a nonprofit for environmental preservation was looking for a logo, and had even hired a professional team, but felt it wasn’t coherent with her vision. She put it up on Karma Tribe and in 24 hours a woman from San Jose, Costa Rica had sent her a logo. The woman who requested it was so surprised and touched, and ended up using the free logo from Karma Tribe! 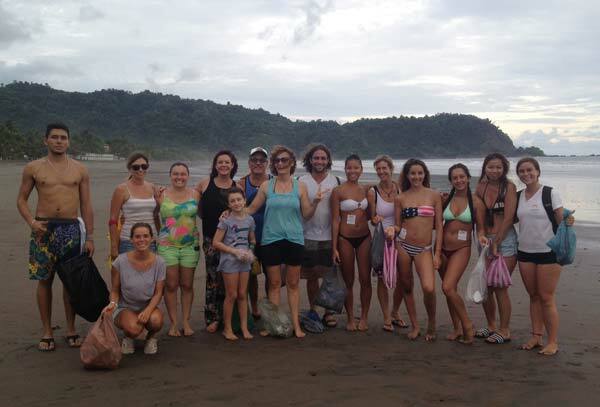 She has now has started an organization cleaning up the beaches of Costa Rica. CI: How have you seen this type of online community inspire others? DG: Well besides the website, we do Karma Tribe beach clean ups every two weeks, and recently a friend of mine in Texas decided he wanted to do the same in Austin on the river. So, we really hope to continue to inspire people to do cleanups or other projects with a positive social impact in the name of Karma Tribe. Just to inspire others to be one with nature and help each other. CI: What can current and potential members hope to see in the future? DG: We’re working on a new feature where you can coordinate entire projects that are more long-term. For example, if you wanted to build an organic garden in Melbourne, you would go on Karma Tribe to list all the necessary components. Anything from seeds, trees, and location to the man-power. You could list you needed 10 volunteers total with two working per week for 6 months. In addition, you could eventually raise donation money via the site to fund the project. It would be a great way to build a more long-lasting community through Karma Tribe. CI: What do you hope, as the founder, to get across to your users? What is your vision for Karma Tribe in the future? DG: I think we often forget that what is difficult for one person is easy for another, and if we give from the heart it will come back in an ever bigger way. 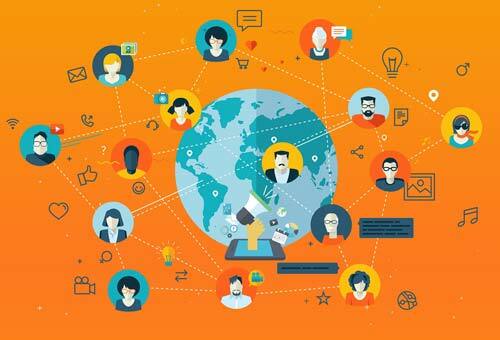 I want people to join together to create a more collaborative world. A lot of times we have these great dreams, but we might be too afraid to be vulnerable and ask for help, but if you put yourself out there it can be achieved! The law of attraction is real, if you really want something it just takes a few seconds to request it on Karma Tribe and someone can help make it a reality! The power of the site is to throw out a request to the universe, and someone might be the perfect person to help you or know someone who is. It is a new way to make your dreams happen, and hopefully this project can facilitate people to help each other do what they love. 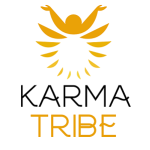 The Karma Tribe is a community of people who help each other for free, simply because they want to. Through our website (karmatribe.com), you can offer and request favors. Everything is free. Share what you have "extra" of, or what you are passionate about. Request anything you need. We believe that kindness feels good and always comes back around.